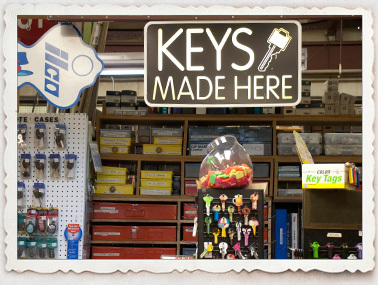 Branneky Hardware is your neighborhood full-service hardware store, conveniently located in Bridgeton, MO, and proudly serving the greater St. Louis area for more than 150 years! At Branneky you’ll get friendly customer service, knowledgeable advice and great prices every time you walk through our doors. Branneky is always fully stocked with an extensive inventory of home improvement supplies including paint, barbecue grills and accessories, lawn and garden, canning, outdoor power equipment, plumbing, electrical, HVAC, cleaning, housewares, general hardware, power tools, automotive, farm supplies, pet supplies, wild bird feed and seasonal items of all kinds. Branneky even stocks those “hard-to-find” items! Just ask our friendly staff for a helping hand and they will lead you right to where you need to be. © Branneky Hardware. All Rights Reserved.